It’s becoming an annual tradition: Samsung will unveil the next generation of its Galaxy Note smartphone in advance of the IFA technology conference in Berlin. The company sent invitations to the press on Monday for an event on Sept. 4, two days before the first day of the conference. Like previous device unveilings, Samsung is calling the event “Samsung Unpacked 2013.” The event will be live streamed via the web, and Samsung will host a press event at the same time in New York City’s Times Square for people to watch and get hands-on time with the devices. Samsung isn’t officially revealing information about the devices. However, the invitation and subsequent tweet include the phrase, “Note the Date” (emphasis added). Plus, at the two previous IFA events, Samsung released the first and second generations of its Galaxy Note smartphone, which have extremely large screens relative to other phones. Thus, it’s a foregone conclusion that Samsung will unveil the Galaxy Note 3 (or III) at its September event. It’s been almost a year since the company released the Galaxy Note 10.1. The question on everyone’s mind this time: Just how big will Samsung go? 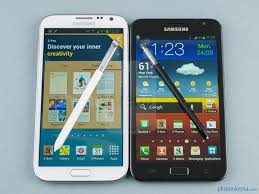 Competitors have responded to the Galaxy Note’s success (now at 5.6 inches with the Note II) with large screen sizes as well, including the 5.5-inch LG Optimus G Pro and 5-inch Droid Ultra. Samsung itself debuted the 6.3-inch Galaxy Mega earlier this year. Samsung’s other plans for Sept. 4 also remain unknown. Last year, it took the wraps off several new devices, including its ATIV line of Windows 8 PCs, the first phone to run Windows Phone 8, and the Android-powered Galaxy Camera point-and-shoot. What do you think Samsung has in store for Sept. 4? Let us know in the comments.